In commercial real estate brokerage, there is no point in being the same as every other broker or agent in your location when it comes to property marketing and promotion. Ordinary properties do not create much inbound inquiry or interest. When you have a good quality listing to work on, it demands the best of you when it comes to coverage and target marketing. To increase your inquiry and sales take a serious look at how you are communicating your listings and services to the end user or target market. Get better at the promotional side of your business. Understand how you can connect with the right people, directly and efficiently. Put your listings at the center of your real estate business so that you can create higher levels of inquiry from qualified people. So the message here is that you can and should improve your marketing initiatives consistently and directly when it comes to commercial property promotion. If the telephone is failing to ring on a regular basis now with good levels of inquiry, then you are struggling from the marketing perspective with both your services and your property promotions. It is time to review the message that you are sending to the local market and the people that really matter. There are always plenty of people to talk to locally when it comes to a quality listing available for sale or lease. There are also plenty of prospects to connect with if you have a base of exclusive listings to work from. Look at the listing or listings that you have currently. 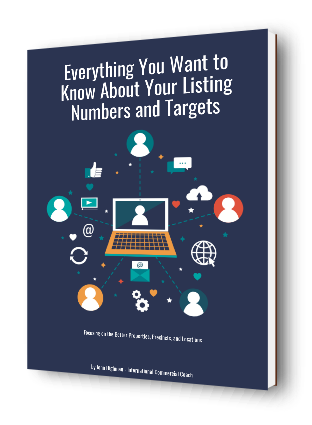 Match those listings into two or three target market segments on an individual basis. Understand the elements of each property from both the strengths and weaknesses perspective. Put the property and its strengths at the center of your promotional activities. Remove the weaknesses from the property before you go to market. Any exclusive listings that you have now should be specifically promoted through directed effort. A good listing is worth talking about. You can also build plenty of momentum from a local perspective when you have a quality listing to promote. Track the levels of inbound inquiry with each exclusive listing. Soon you will know what people are looking for when it comes to property precinct, the type of property, and the levels of improvement or building design. Understand each listing individually so that you can build on the levels of inquiry that you are getting. With every property inspection, take plenty of notes and capture the feedback from the inspecting parties. Those comments and ideas will help you condition the client when it comes to a point of negotiation. Look for the story or the message in every listing. Some properties have a local history and and identity that you can build your marketing message around. 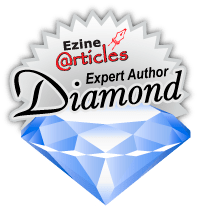 If a property is interesting, create a series of editorials and articles supporting the property promotion. A good property listing deserves a comprehensive promotional strategy beyond the typical advertisements created. When designing advertisements and promotional copy, use a dictionary and a thesaurus to extract and use other words and ideas to describe the property and its features. Get away from the standard and ordinary descriptions used by most other agents and brokers. There are plenty of words that you can use and probably would normally overlook without some research strategy like this. It is worth remembering that a good advertisement that is well crafted and presented will always assist you in lifting your professional profile as a successful commercial real estate broker or agent. So there are some good things that you can do here to improve your promotional message with your property listings. When you have converted a listing exclusively, you can take that listing and market it directly and efficiently to the right people. Spend more time on your property listings in this way, and you will soon see the levels of inquiry improve, ultimately resulting in improved inspections and negotiations.